Millions of families all over the globe have what they refer to as “furry kids” living in their house. Their dogs and cats are members of the family, and owners will do anything to love them as long as possible. Keeping your dogs and cats healthy and safe from heat exhaustion during the summer months is imperative. Steering clear of things such as running errands with your dog in the car and leaving him in the vehicle on a hot day need to be avoided at all costs. Having plenty of water, and cool, shady places for them to sleep are all excellent ways of being a great pet owner. Even if you think you may only be going out with your dog or cat for small amount of time, you never know what can happen along the journey to hold up your plans returning home. Keeping water bottles, or a portable water bowl for your pet in the car can always ensure that they will be properly hydrated. 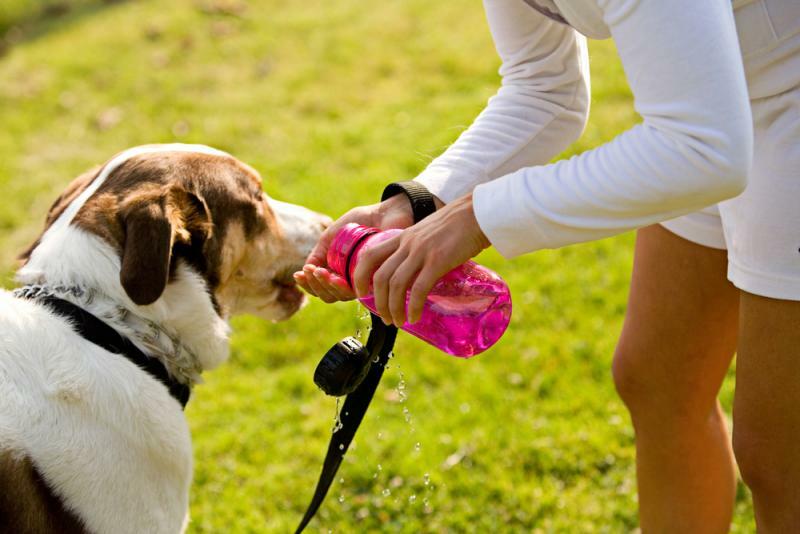 Most public dog parks or hiking areas have water resources nearby, but it's always best to try to stay ahead of the game by keeping your own supply of water for your pets.